Many, many years ago I remember my paternal grandmother asking me what I would like when I came to stay and my answer was always “Oxtails”. I still don’t know how she made her stew, but it was magnificent – succulent, tasty meat falling of the bones without a shred of fat to be seen and the flavour was out of this world. Unfortunately she is no longer around to share her recipe and I have never managed to equal her result so when I saw a large, juicy ox tail in my local butchers the other day I decided to make my husband a good old-fashioned ox tail soup, plus plenty left over for the freezer. 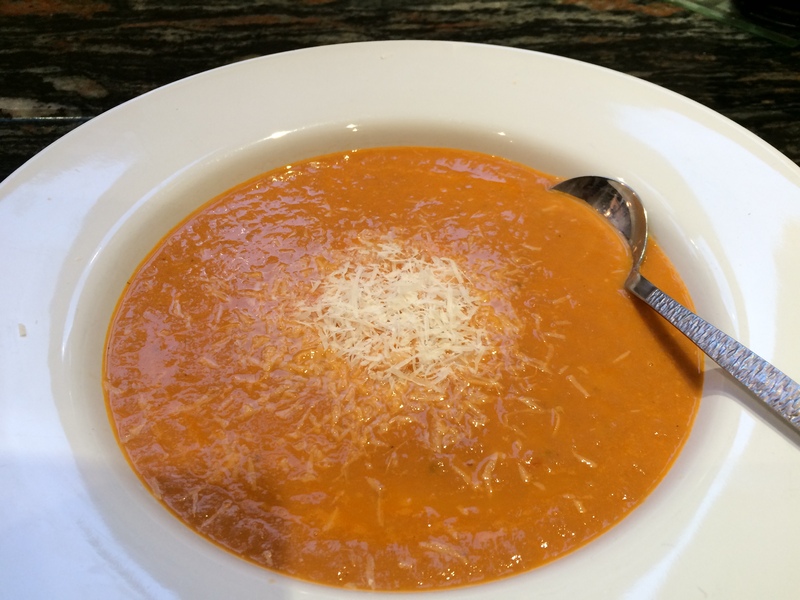 My husband is addicted to soup (not a bad addiction!) and more often than not, has soup for his lunch so I like to keep an ample supply in my freezers. The only ingredient I purchased for this soup was the ox tail; the rest of the ingredients came from my store cupboard/fridge and herb garden (well, herb pots really). Rub the ox tail with olive oil and roast in a very hot oven (425°) for about twenty minutes. Meanwhile, in a very large pan add the peeled and chopped onions, chopped celery stalks, chopped leeks (trimmed), carrots (ends trimmed), rosemary and thyme. Add a very little olive oil and stirring frequently, simmer for about 20 minutes. Add the ox tail to the pan together with the bay leaves, cloves, chopped tomatoes and beef stock. Bring to the boil, cover and allow to simmer away for about six hours, adding more stock if necessary. Stir occasionally. Once cooked, allow to cool a little then strip the meat from the bones taking care to remove any fat or gristly bits. Return the meat to the pan, season to taste and blitz to a smooth creamy soup. Delicious served sprinkled with Parmesan cheese. Alternatively, add some butter beans for an even meatier soup. 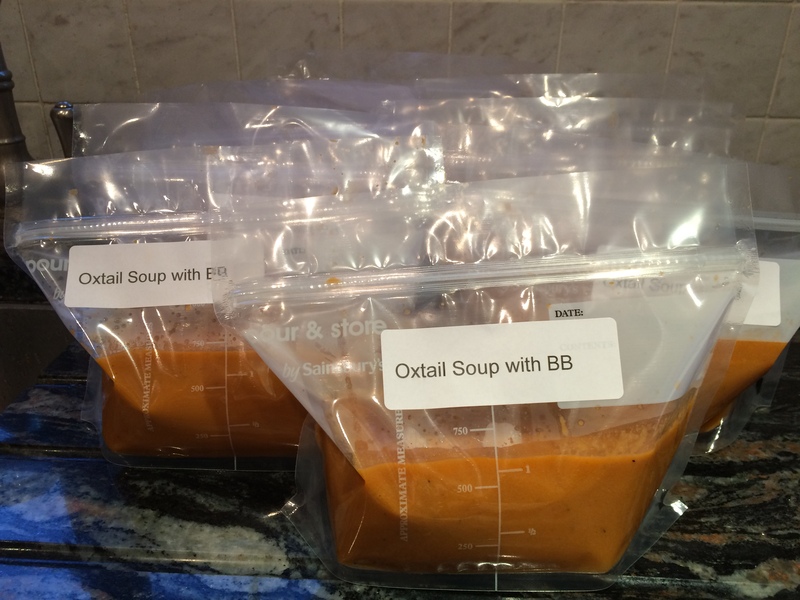 This entry was posted in Lunch, Soups, Supper and tagged Carrots, Gluten Free, Healthy Eating, Leeks, Lunch, Onions, Ox Tail, Recipes, Soup, Tomatoes. Bookmark the permalink.